The history of modernity can be summed up as collapsing distance, exponentially. The transcontinental railroad, the telegraph, broadcast radio and television all were quantum leaps in the ability to take what's "there" and bring it "here." The Internet has been the ultimate expression of instantaneous gratification when it comes to collapsing distance, but until now the ability to instantly broadcast something live to a mass audience from almost anywhere was an expensive and unwieldy proposition. In the last few weeks however that has all changed with the rise of what I call 'Instant Livestreaming.' Think of it as collapsing distance cheaply, at scale. Meerkat was first out of the Instant Live stream gate a few months ago and generated a craze at SXSW this year (of which bell ringers declared a return to prominence for the Austin gathering that made stars out of Twitter and Foursquare). Built on Twitter's API, it allows users to schedule or broadcast a live stream on Twitter from their mobile device. To be fair platforms like Twitch have allowed gamers to livestream and interact in real time for years now but this is a highly specialized use case with a very specific audience and content type. Ironically, Twitter had already purchased a company called Periscope who had developed a similar app but was still in closed beta. The rapid rise of Meerkat forced Twitter's hand to radically move up its product launch date, as well as restricting access to certain Twitter API's by Meerkat. Twitter had already realized the massive potential of Instant Livestreaming particularly with a young millennial and Gen Z user base that prizes immediacy, authenticity and mobility. CHEAP AND AT SCALE. Think of how rare user created videos were online before YouTube took an onerous process and simplified it for the masses. This is what Periscope (and Meerkat) does for live streaming which, until now, was the province of brands and publishers who relied on an expensive and unwieldy ecosystem of providers. Now users and brands have the freedom to live stream at will. REGISTER OPEN. Now think of the huge advertising business Google built off of those user generated videos. This is the promise of Periscope for Twitter, which is still trying to crack the video market dominated by YouTube and now Facebook. REAL 'REALTIME'. Add to this the beautiful convergence of video with Twitter's core strength -- real time. This is a product that naturally fits with what Twitter's user's value about the platform and what already differentiates them in social. 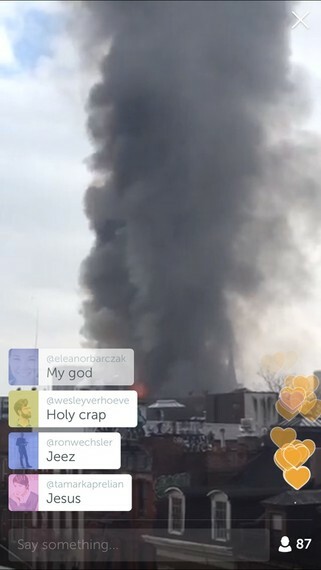 Twitter though has been clever by also building archive functionality into Periscope. All streams default to living for 24-hours inside the app. This splits the difference nicely between ephemeral and archival and may allow Twitter to build a rotating archive of video inventory to sell ads against. Twitter's Periscope sports a sophisticated interface and a number of aesthetic advances. If growth continues, as I think it will, there is another potential problem this solves for Twitter: flat user growth. The idea of instant off-the-cuff broadcasting has inherent appeal to a generation that has embraced the fleeting nature of SnapChat content, even as SnapChat tries to pivot towards a much older content model through their Discover tab. The more seamlessly Periscope can be integrated into Twitter's platform the better it will be for attracting and keeping young users. And while Periscope continues to curry favor, Meerkat's life is not on the line yet. Meerkat's capabilities could give Facebook a live component it is now missing or further enhance Snapchat's immersive experiences. Live streaming will bring a new dynamic to social media that has the potency to last. While there is already a growing group of creators who are finding big followers on Periscope (see the recent profile in New York Magazine of Amanda Oleander) the platform and Instant Livestreaming as a category have yet to achieve a "breakout" moment. Think about how the first Gulf war made CNN relevant in the pre-digital age, or how the Arab Spring brought Twitter's utility as a real time news and communications platform to the fore. Periscope is likely to have a similar moment that propels it from shiny object to the height of modernity.